I am a member of Firewheel Golf Club. While playing number 9 on the Traditions 2 years ago the fire engines across the street took off with their sirens basting. Within seconds I heard a pair of barred owls start calling and answering the sirens. I have found them several times since then but could never find their nest hole. 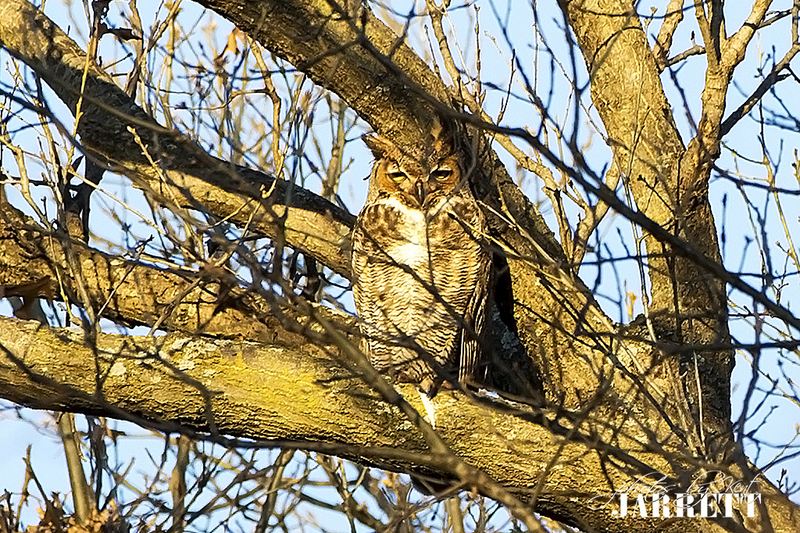 That all changed this spring when I was in the left rough / trees when I found this set of eyes watching me. I went right back with my DSRL and was able to capture this image. Wow what a classic Owl hole. I was all set, my very own Owl hole. 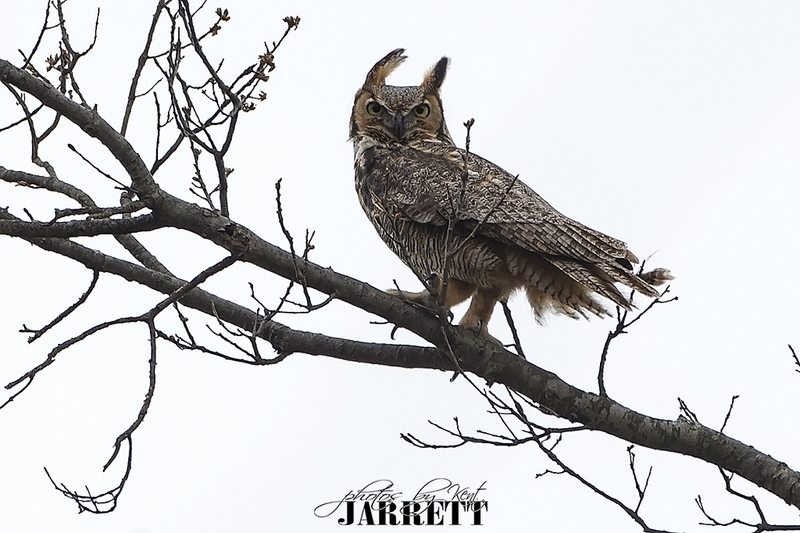 Another photographer shared his Great Horned Owls with me, so what the heck I shared this location with him. I tired really hard to leave the nest alone as I had been coached by my owl mentor to never call females off their eggs. She was super jumpy as soon as I would roll up to the nest with my camera gear she would exit and fly away. Keep in mind these were taking with a 700mm lens from maybe 75 yards away. Then I had to travel back to Illinois for a week. The other photographer went to check on the hole and walked up on this and texted me this photo. How SAD! Not my photo! 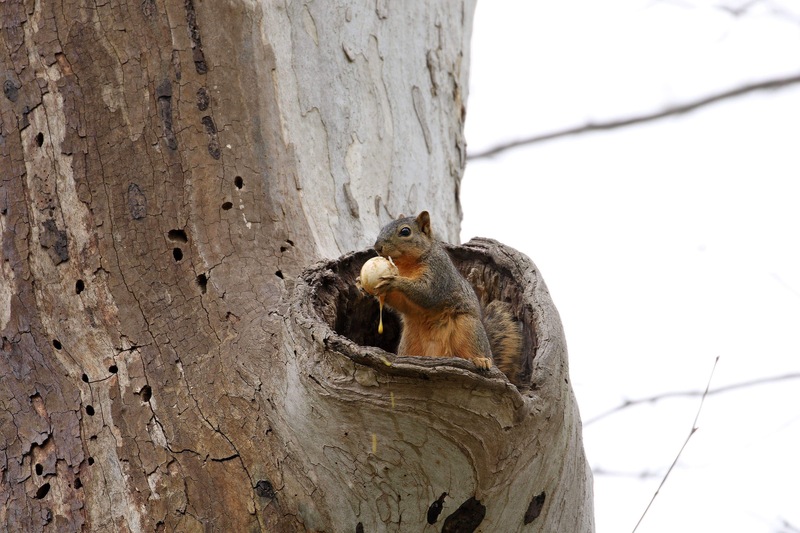 Tree RAT! Cycle of life, eat or be eaten. I believe her to be a young mom and not very experienced. I am guessing the male was not helping her or guarding her and the nest like more males do. 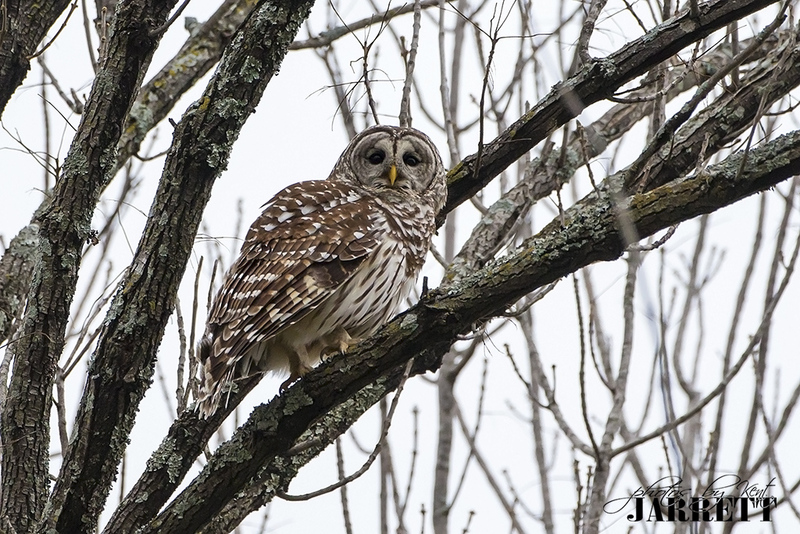 Snippet from the web: Nests And Eggs How Many Eggs Do Barred Owls Lay? 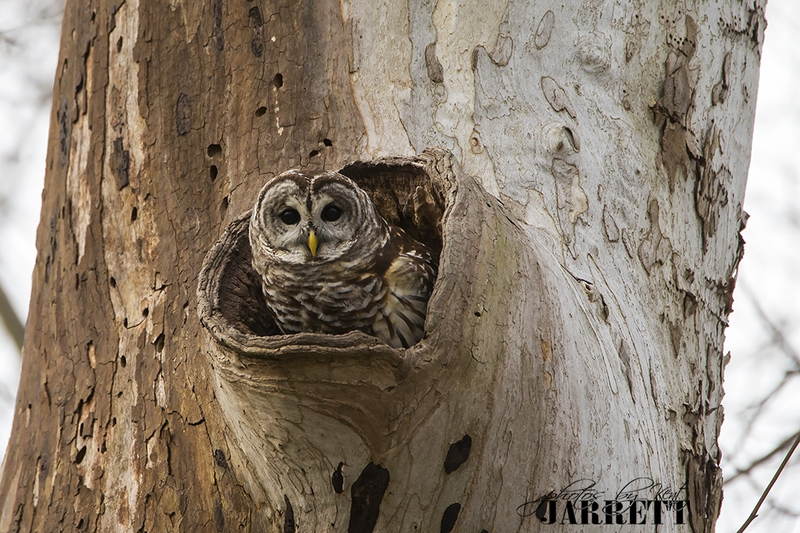 Barred Owls lay between 1–5 eggs, usually 2–3. They have one brood per year, but if an early clutch is lost, they may lay a second or even third clutch. So I am hoping she has laid more, but I have not seen the pair while golfing but have heard them twice so I know they are still around. Babies should be hatching in the next week to ten days, so I’ll try to go check on them next weekend with the camera. 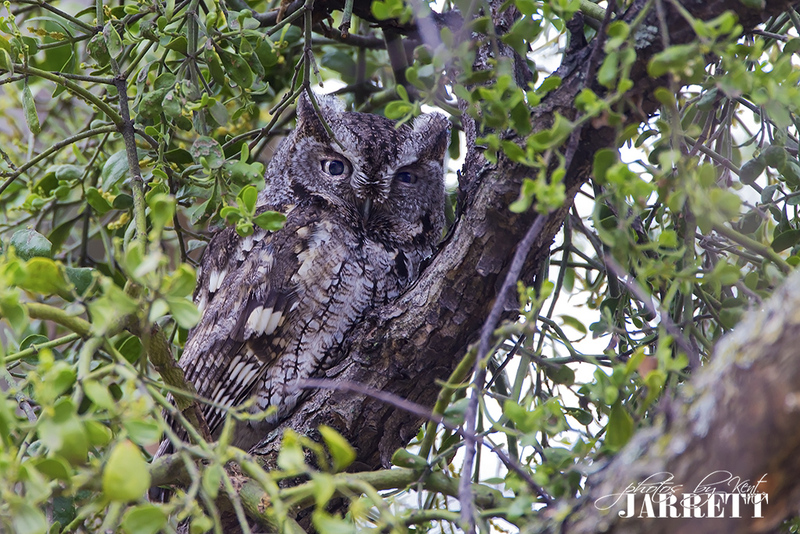 I found an Eastern Screech Owl in the normal Gray coloring this spring. (Dallas County Texas) He is a great male and watching his nest from across the way. I have yet to see the female. 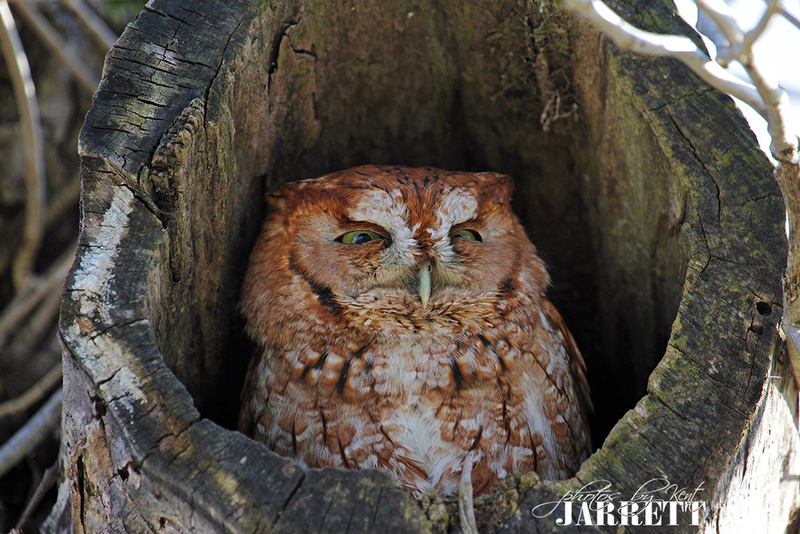 I found this Red Morph coloration of the Eastern Screech owls a few years ago in the Great Smokey Mountains! 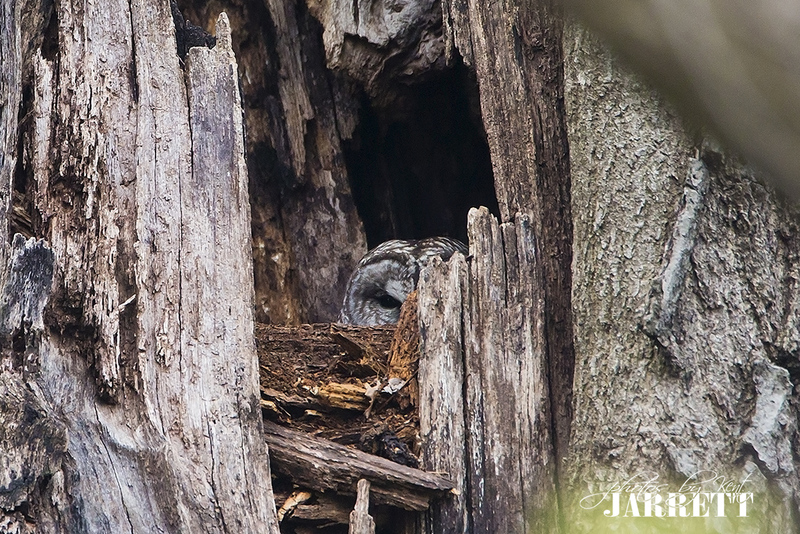 I saw another owl in this same hole this past fall (Oct 2018) but it was too dark to even try a photo! Enjoy the photos and what you read? Subscribe to be notified of future posts via email by either clicking the Follow button at the bottom or the Subscribe section on the right. 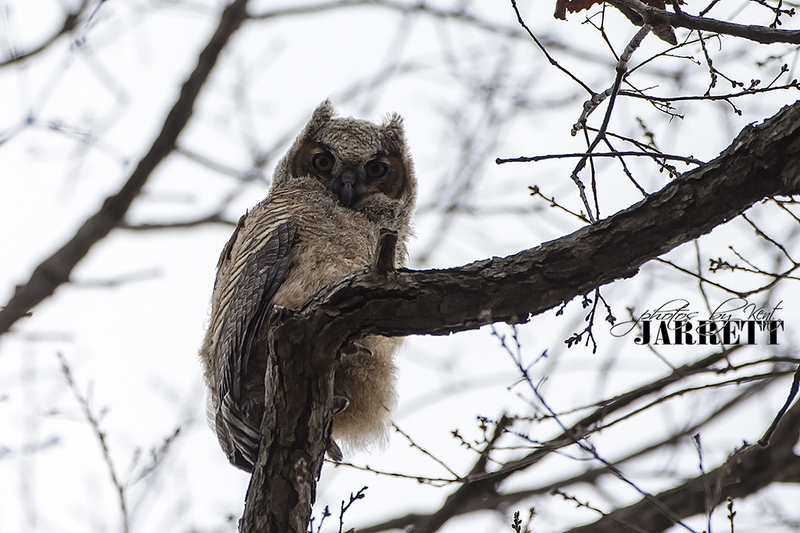 Got a tip from a fellow photographer about a Great Horned Owl nest at White Rock Lake located in Dallas County. So that weekend it was too for golf, I load up my gear and headed down. They had nested in an old hawk nest. By the time I got down there the nest was in pretty bad shape and starting to fall apart the owlets were already getting pretty big. March 2nd, 2019 I never got a decent shot of either parent as they were always on high alert and way out there. 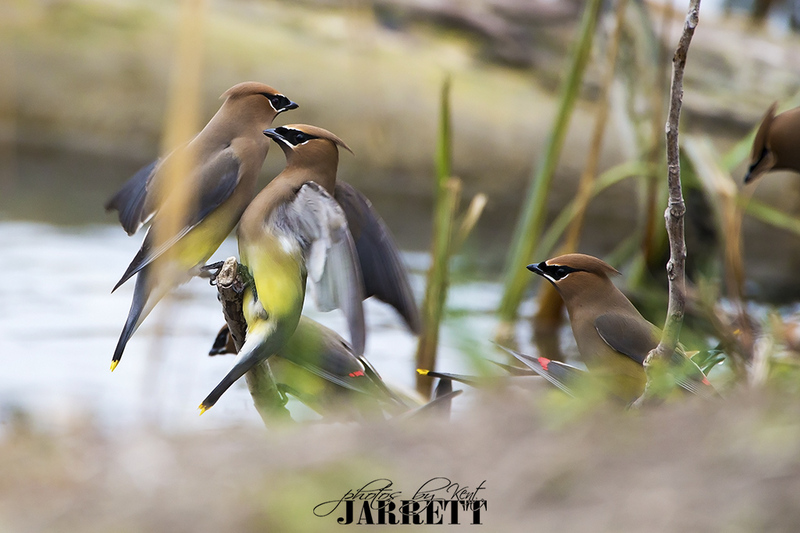 Cedar Wax Wings migrate through every spring but never took the time to go after them. 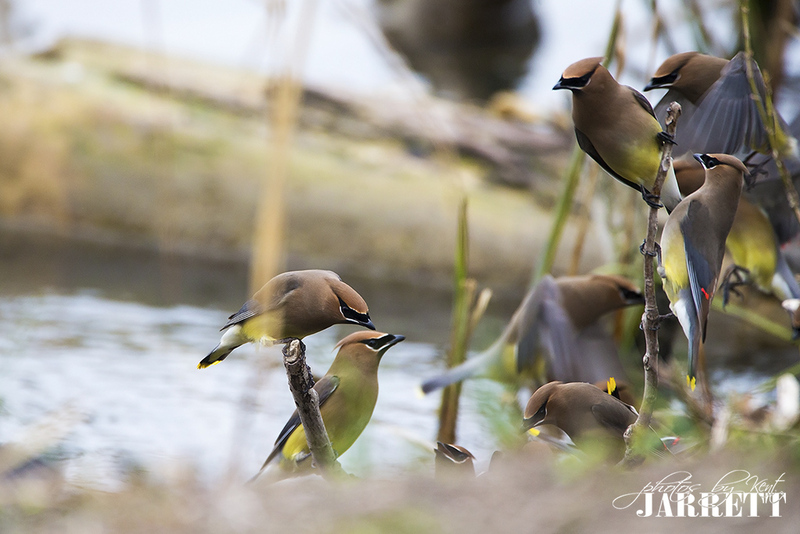 On the way back to the parking lot, I saw hundreds of birds playing on the edge of the lake. I was lucky enough to be able to circle around them and get a few decent shots. 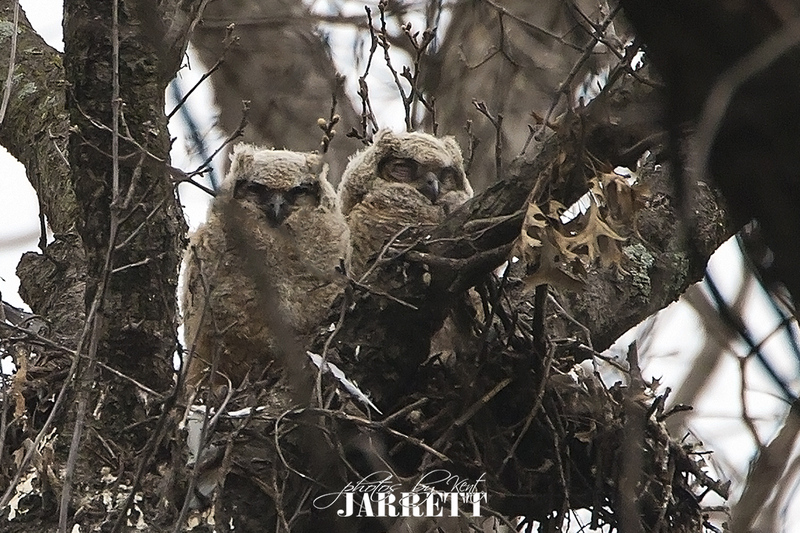 March 8th, 2019: Was pretty sad to hear that next time I went to check on the family, that the nest was destroyed in a storm and high winds and we lost one of the two owlets. 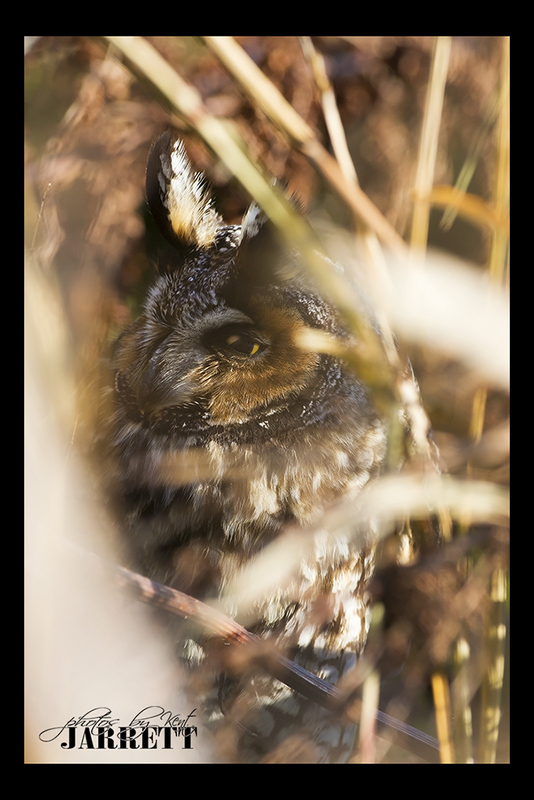 One of the photographers that is there every day stated that another photographer went into the ticket and found baby owl feathers. While creeping around trying to find the mom, dad and the perfect angle, I spotted this eye watching me. Never got a clear shot of mom or dad, but did score another Barred Owl nest hole. 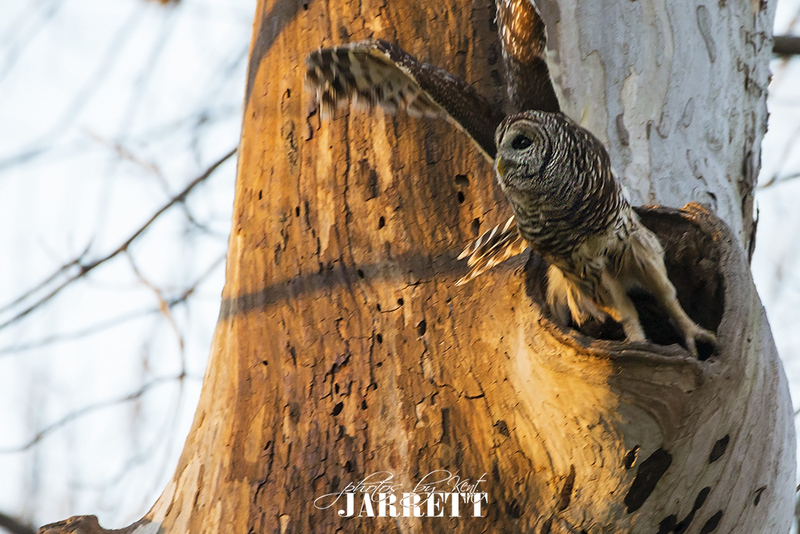 The fourth working Barred Owl cavity I know of in Texas. 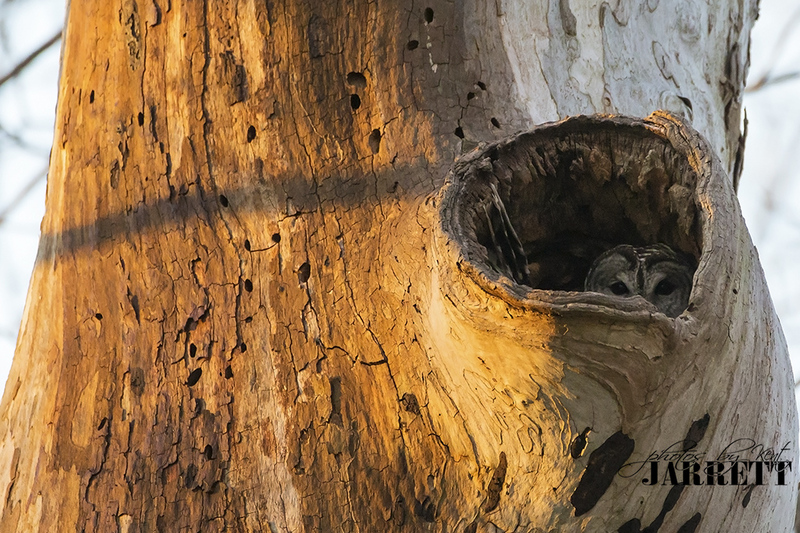 People have asked how I find the owls, mostly luck but I spend a lot of time creeping and observing and checking every hole for movement or eye. 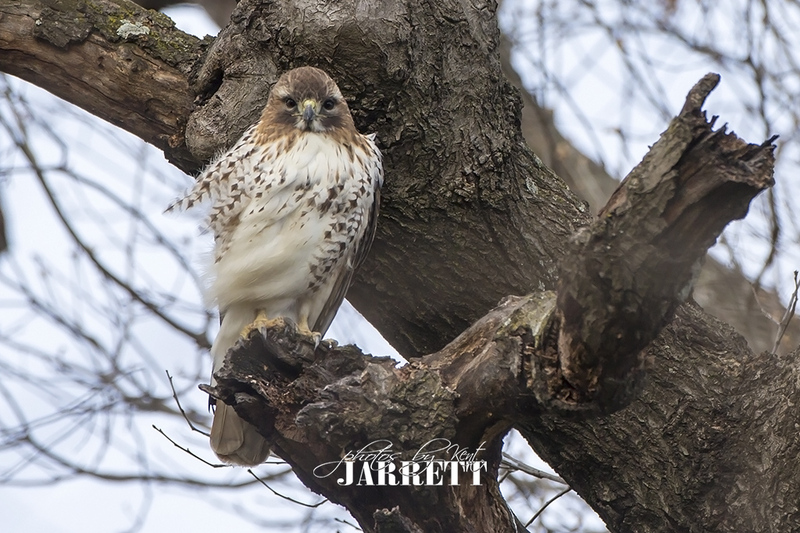 While looking for the parents, I saw the silhouette of a larger bird, using my best ninja skills, was able to get a clear photo of a Red Tail Hawk. Two days later, March 10th headed back. Found the dad: Dalton. They named him Dalton because of the movie quote, “I always thought you would be bigger.” The lone surviving owlet is getting bigger. Finally able to get a halfway decent shot of mom, giving me the stink eye. I could be wrong but I think they called her Hanna. I am pretty impressed that both parents continue to feed and care for the lone owlet without a nest. I have read that the parents will continue to feed them and help the owlets for up to 5 or 6 months. I didn’t make it down there this weekend, so I am guessing the little family will have moved on by the time I get back from a work trip. 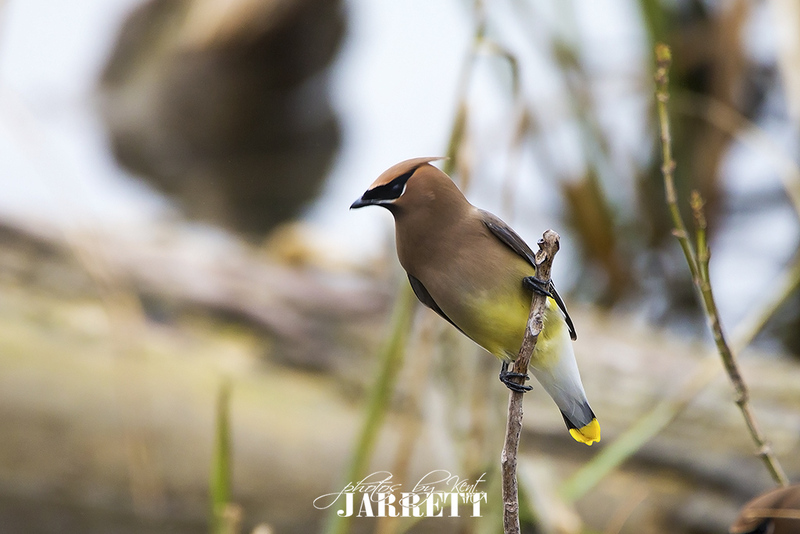 A “lifer” in birding is a bird you have not seen in your life. 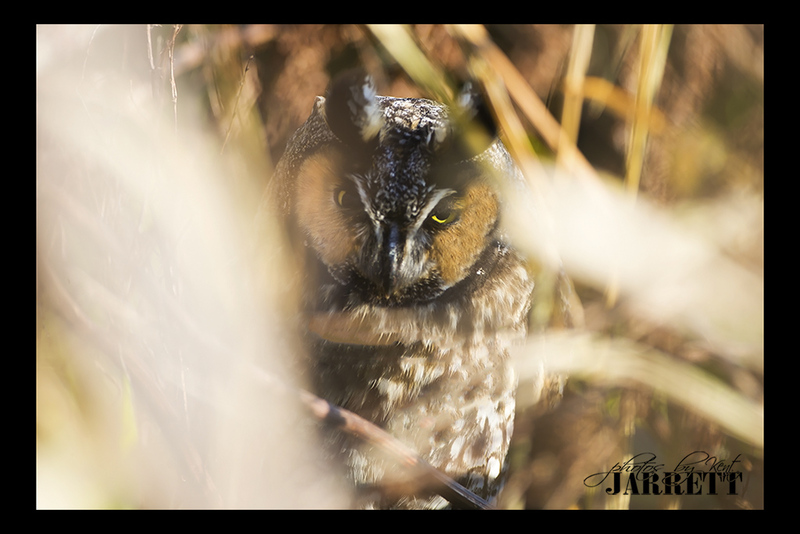 Today I was lucky due to a couple tips to get a Long Ear Owl in Arlington Texas. 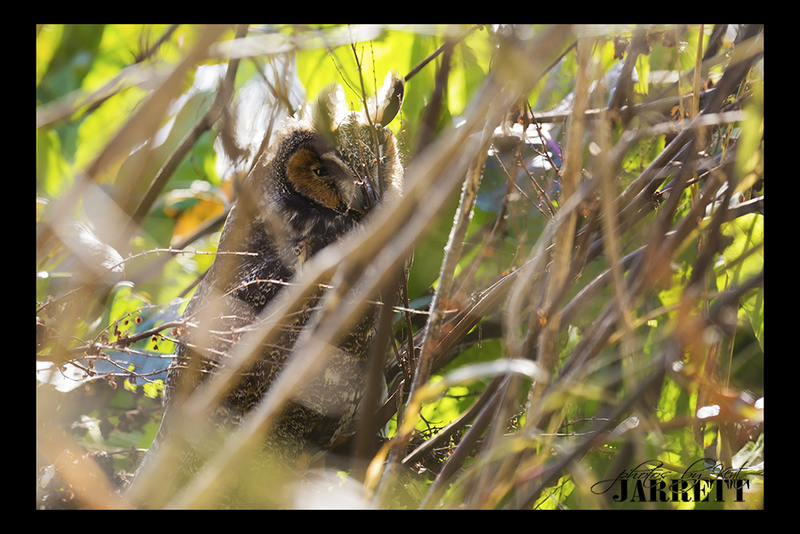 The Owl had been sitting in some heavy brush since this morning. 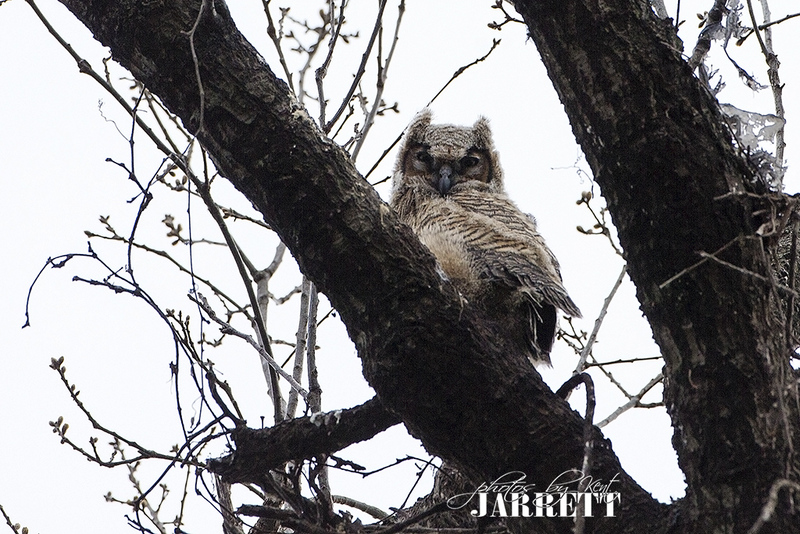 So what the heck loaded up the gear and drove 55 minutes and found the owl. I really hope he/she stays around and I can get back over and get a clear full body shot. While I am not really a birder, I would call myself more of a raptor. 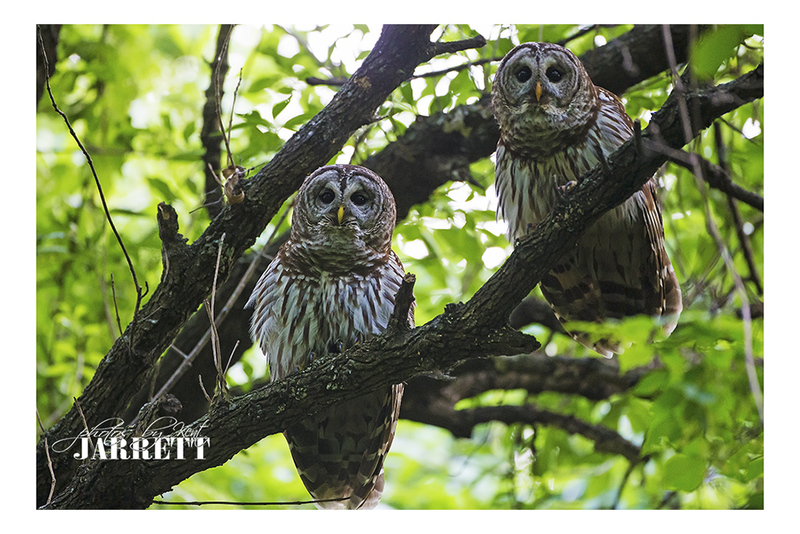 I only need to photograph a Saw Whet Owl and a Great Grey Owl to have all the owls of North America. It was really nice to get back into the field and experience the chase again.